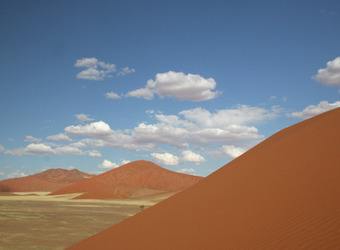 From the first flight I took in Namibia to the last, it was a country that amazed me each and every day. The planes provided a great perspective of what laid below-- endless sand dunes, rugged coastlines and huge expanses filled with diverse wildlife. Some of my favorites were the desert-adapted elephants and a chance to see a member of one of the largest free roaming black rhino populations in Africa. I'm ready to go back!